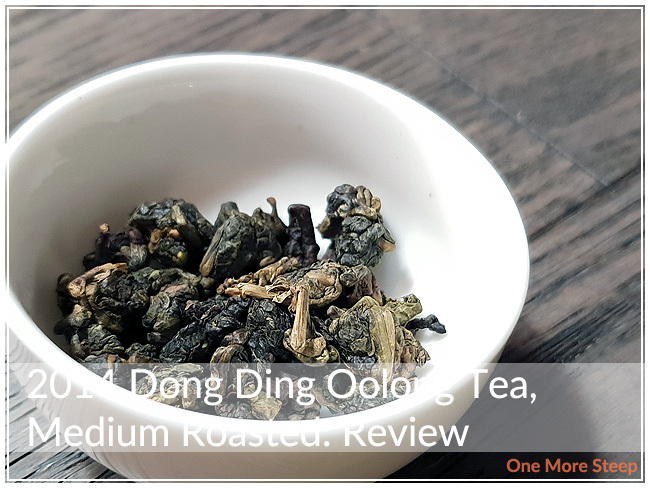 Tea Side has provided me with 2014 Dong Ding Oolong, Medium Roasted for the purposes of providing an honest review. The 2014 Dong Ding Oolong Tea, Medium Roasted came to me in a pink foil packet with minimal information about the tea. 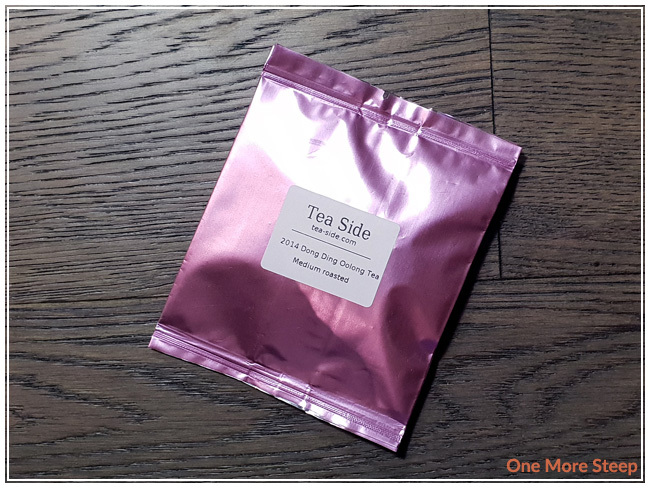 I did glean some information about the product page from Tea Side’s website. For instance, I learned that this tea was harvested in the spring of 2014 and was processed in traditional Taiwanese methods despite the tea being grown and processed in Thailand. After opening the packaging, the first thing I really noticed was the fact that the leaves are look like they’re huge. As with most oolongs, the leaves are bunched and rolled together, but the dried tea looks like the leaves are very large. There’s various shades of browns that go from dark and fade all the way to a cream colour. 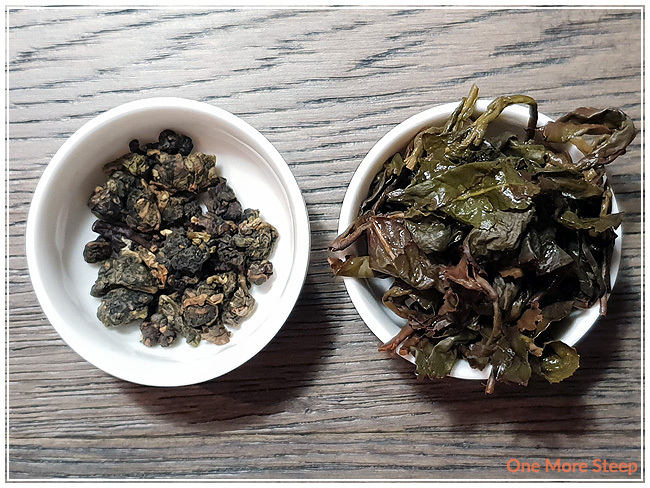 The dry leaf of the 2014 Dong Ding Oolong has some nice floral notes, as well with a light, sweet fruity aroma. 2014 Dong Ding Oolong Tea, Medium Roasted is a straight tea. I wasn’t able to find any steeping instructions for the 2014 Dong Ding Oolong Tea. But knowing that it is an oolong, I referred to my steeping times and temperatures chart. I opted to do an initial steep in 90°C (195°F) water for 2 minutes. 2014 Dong Ding Oolong Tea steeps to a lovely light orange colour after the initial 2 minute steep. The aroma of the steeped tea is primarily that of plums and apricots, the floral notes still remain. When I tasted the tea, I noted a mild astringency at the end of each sip. The combination of the floral and fruity notes reminds me of a lot of tropical fruits that come out of Asia – in particular lychee and mangosteen, with a hint of freshness that you get from dragon fruit. There’s a touch of deeper fruit flavours in this tea that I get from time to time that remind me a lot of apricot and plums. It has a nice sweetness to it, thanks to the floral and fruit notes. I resteeped 2014 Dong Ding Oolong Tea, Medium Roasted a grand total of seven times. My usual method of resteeping tea is to add an additional 30 seconds for each steep, which is what I did here as well. I found that the floral and fruity notes got strong for the first two resteeps, and started to lessen in intensity after that. 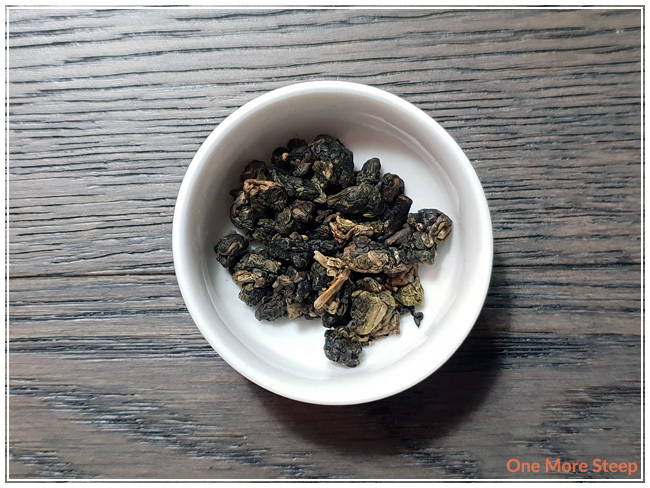 The mild astringency at the end of each sip turned to a slight sourness as I continued to resteep the oolong. I loved Tea Side’s 2014 Dong Ding Oolong Tea, Medium Roasted. 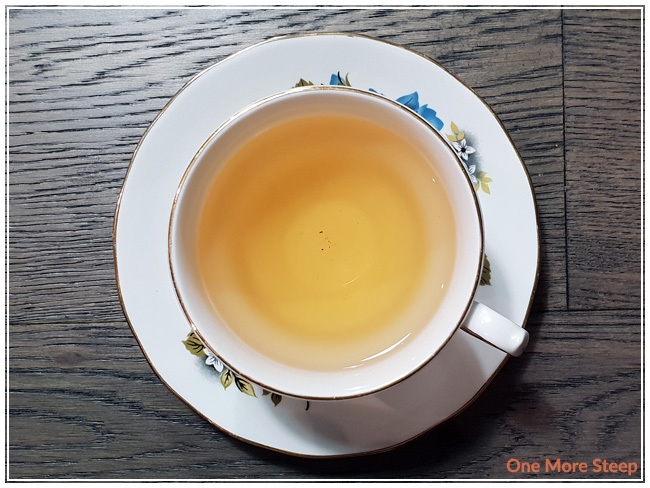 I really enjoyed the intricacies of this oolong in how the flavour changed from steep to steep, as well as the balance of fruit to floral in this roasted oolong tea. I would highly recommend resteeping this tea if you’re drinking it, it does so well with resteeping continuously. I found the flavours to be really well balanced, and that fruity sweetness would lend itself to being paired with sweets or desserts quite easily.